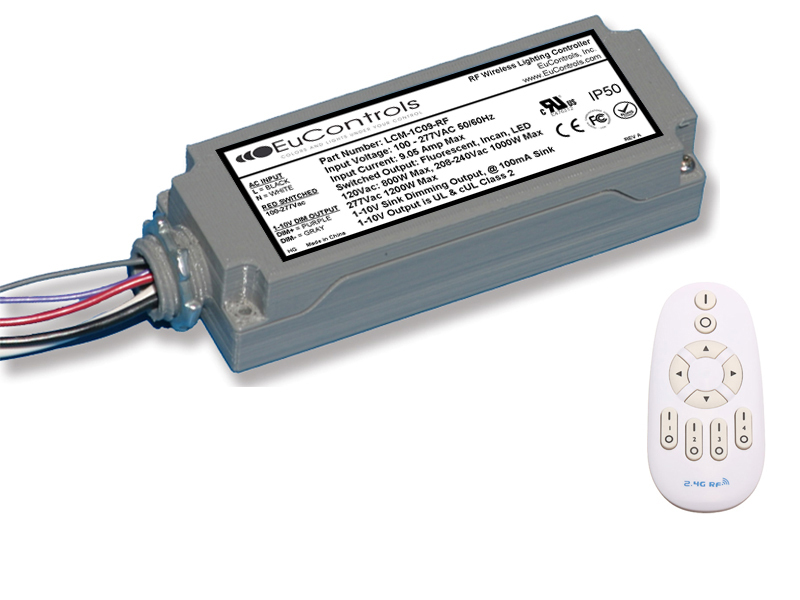 RF, cordless control of luminaires. ON/OFF and 0(1)-10V analog dimming control, 100mA sink. ON/OFF switching up to 277Vac @ 9A Max.